FORT BRAGG, N.C. -- A Georgia-based U.S. Army Ranger was killed in action in Afghanistan on Thursday, according to a U.S. Army release. Sgt. 1st Class Christopher A. Celiz was wounded by enemy small arms fire while conducting operations in support of a medical evacuation landing zone in Zurmat district, Paktiya province, the Department of Defense said. He was evacuated to a treatment facility, where he died of his injuries. Celiz, 32, was a native of Summerville, S.C. He enlisted in the U.S. Army in September 2007. He deployed from 2008 to 2009 in support of Operation Iraqi Freedom and from 2011 to 2012 in support of Operation Enduring Freedom. He was on his fifth deployment with when he was killed. He was assignted to the 1st Battalion, 75th Ranger Regiment of Hunter Army Airfield, Georgia. 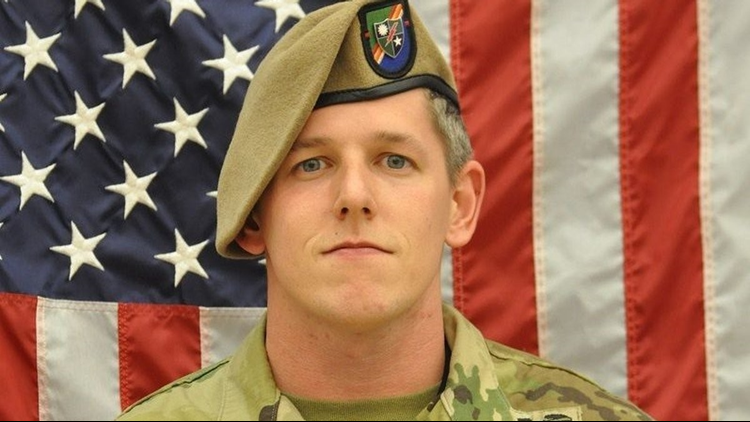 "The 75th Ranger Regiment suffered a tremendous loss with the passing of Sgt. 1st Class Chris Celiz. The Celiz family has been a critical component of our team and their community in Savannah, Georgia," said Col. Brandon Tegtmeier, Commander, 75th Ranger Regiment in a statement. "Chris was a national treasure who led his Rangers with passion, competence, and an infectiously positive attitude no matter the situation. He will be greatly missed." Celiz is posthumously awarded the Meritorious Service Medal, Bronze Star Medal, and the Purple Heart, according to the release. "Sgt. 1st Class Chris Celiz was a great Ranger leader, and he will be sorely missed by 1st Ranger Battalion. He had an incredibly positive attitude that inspired Rangers throughout the formation," said Lt. Col. Sean McGee, Commander, 1st Bn., 75th Ranger Regiment. "Sgt. 1st Class Celiz led from the front and always put himself at the decisive point on the battlefield. He was a loving husband and father, and he and his family have been an important part of the fabric that represents 1st Ranger Bn. and the Savannah community."